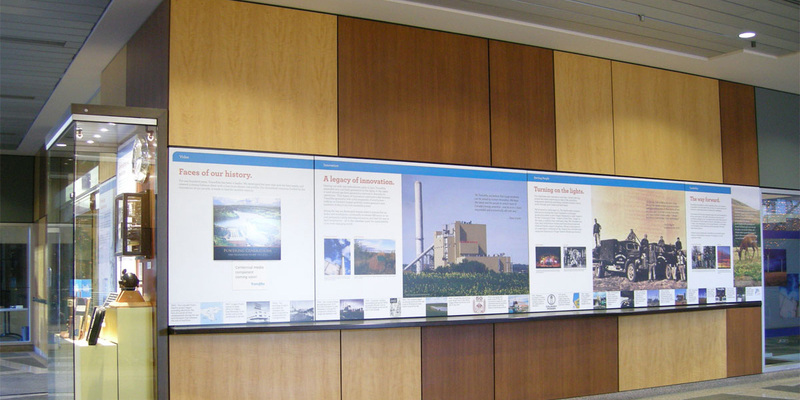 Trans Alta Centennial Exhibit | André & Associates Interpretation and Design Ltd. Preliminary Interpretive Development, Planning, Conceptual and Schematic Design, Multimedia, Concepts and Storyboards, Fabrication Supervision. 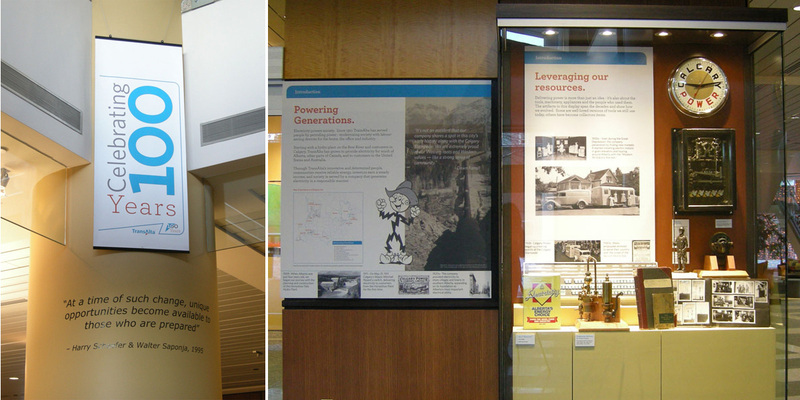 As part of its centennial celebrations, Canada’s oldest investor owned utility created a mini-museum in the lobby of its headquarter’s building in Calgary. Formed in 1911, it was originally called Calgary Power. The utility grew from its roots in Alberta to become a multi-national provider of electricity and is proud of its heritage. 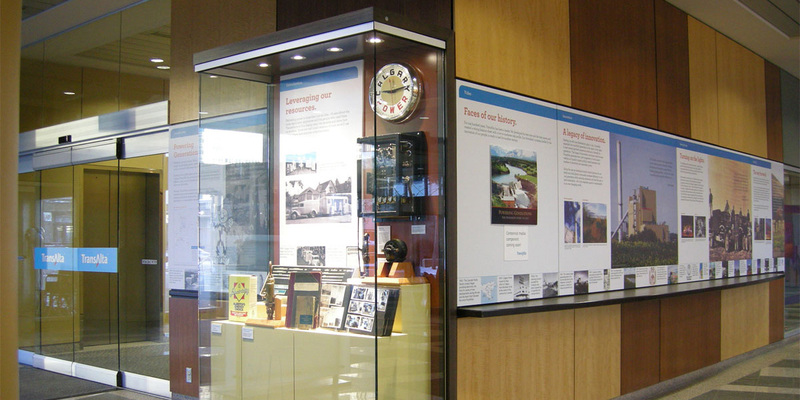 The displays in its lobby used artifacts in a display case, stories and images and a timeline to tell the tale of the little utility that made good. A touch-screen television allows the visitor to choose from parts of the story. And two changeable displays at the end of the exhibit provide a way for communications staff to regularly update the TransAlta story.